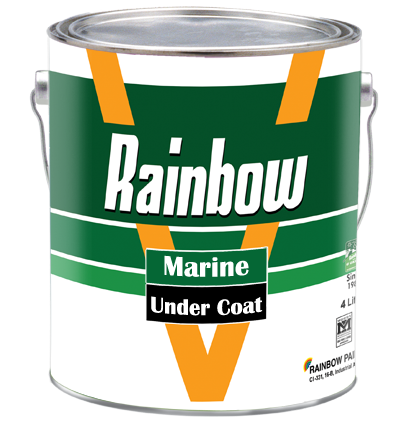 Rainbow Marine under coat is a general purpose under coat for all surfaces above water level. This product has very good filling properties. Composition: Modified alkyd resin and selected extenders to improve adhesion of all our marine enamels. : 2) Recoatable 16 Hours Shelf Life: 12 Months year if kept in sealed container under normal room temperature.